Over four-and-a-half decades of European Union membership, Britain has often suffered frustrations and rebuffs at its tedious summits: the then PM Cameron’s total failure to return from the crucial one in February 2016 with even a minor concession he could implausibly present to UK voters as ‘significant reform’ was merely the most recent. But the malevolent ambush and abject humiliation calculatedly inflicted on Theresa May by the EU Summit in Salzburg, in rejecting out of hand her Chequers Plan for Britain’s EU exit, was surely unprecedented, however much we rightly condemn both the origins and details of the Plan for its duplicity and excessive appeasement of, and concessions to, Brussels. However such situations always produce winners as well as losers. Who were the principal winners and losers from Theresa May’s Salzburg débacle? The first big loser is Brexit Secretary Dominic Raab. Formerly a staunch Brexiteer, he agreed to take on the job at the Department for Exiting the European Union following the resignations of David Davis and Steve Baker in the aftermath of May’s infamous Chequers Summit. He did so knowing the department had been cynically used by May’s No 10 team as camouflage for their covert backstairs operation to put together the Chequers Plan, presented to the Cabinet as a take-it-or-leave-it fait accompli. He also knew that he would be required to progress and promote Chequers, which was already being suitably eviscerated for its lack of ambition and abandonment of the red lines which May herself had laid down in her Lancaster House and Mansion House speeches. Three months later, May’s Chequers Plan, already justifiably politically toxic in Britain, and now comprehensively rejected by the EU, lies in ruins, to all intents and purposes dead. Whether Raab was motivated mainly by the prospect of promotion is almost immaterial. As bad judgement calls go, his was a humdinger, and it should blight the rest of his political career. A bigger loser than Raab is May’s No 10 Brexit negotiations adviser, former FCO mandarin Oliver Robbins, long suspected (with reason) of being opposed to Brexit notwithstanding the Referendum result, and therefore determined to influence May towards as soft-Remain, substantially-in-name-only a Brexit as possible. It was Robbins, supposedly her ‘expert’ on the EU and thereby uniquely equipped to advise May on what the EU would or would not find acceptable, who allegedly helped to devise, in secret, behind the backs of the public, MPs and even the Cabinet, and deceitfully using the Brexit Department as camouflage while disregarding its recommendations, May’s ignominious Chequers Plan which was bounced on to the Cabinet, remember, with the peremptory instruction that it could not be changed because it had already been agreed with German Chancellor Angela Merkel. With the EU’s emphatic dismissal of Chequers, Robbins’s credibility is zero, his reputation for EU expertise deservedly joining in the gutter his reputation for total abrogation of Civil Service impartiality. The EU whose anti-democracy and technocratic authoritarianism he so obviously reveres has rewarded his misplaced loyalty and self-abasement in its cause by making a monumental fool of him. Clearly, he can play no further part in any Brexit negotiations. Whether he can remain in Government service at all is dubious. The main loser, of course, is May herself. For all the frantic spin of the 36 hours after the Salzburg summit, attempting, with the connivance of the media, to present her simultaneously as both the grievously wronged honest broker and the reincarnation of Boadicea, a Margaret Thatcher Mk II standing up for Britain against EU chicanery and intransigence, the inescapable fact is that she has been utterly humiliated – exposed at best as a naïve, gullible ingénue, and at worst as a cynical schemer hoist by the petard of her own duplicity. Let’s not forget just how and why we arrived at this embarrassment. 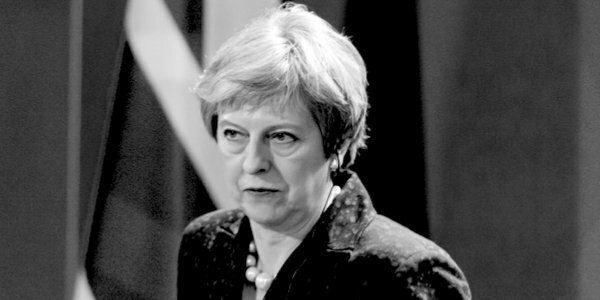 It’s because Theresa May herself – whether from ideological conviction or political expediency hardly matters – set out deliberately to deceive her Cabinet, MPs, party and country that she was pursuing in good faith the Brexit which 17.4million voted for and which she largely pledged to achieve for them, while at the same time launching a secret backstairs operation to devise and advance her own much weaker Soft-Remain, Brexit-In-Name-Only Chequers plan which not only reflected her own Remainer inclinations but preferred to appease an EU determined to ensure that Britain must not be seen to benefit, either economically or politically, from Brexit. It was, and is, gross constitutional treachery and political ineptitude, and that it has blown up in her face is poetic justice. Yet bear in mind, amid the spin, that she’s still a Remainer, she hasn’t junked Chequers or the people who designed it, and she’d still revert to it if the EU accepted it. Her credibility is at rock bottom, and her position is even weaker than before. Hence the desperate, choreographed attempts to shore it up, to try to insulate her from irresistible demands for her resignation. And the main winners? Well, foremost, Boris Johnson, David Davis, Steve Baker. Leaving personalities aside, their resignations in protest at Chequers now look prescient, principled and justified. Paradoxically, the EU itself has proved they were right all along. Their positions, and credibility, have been strengthened. Next come Jacob Rees-Mogg and the European Research Group of backbench Brexiteer Tory MPs. Their technical and constitutional objections to Chequers, and their warnings that the EU would not accept it, have also been proved right. Salzburg has vindicated them, and they too won’t be so easy for the closet-Remainer May-ites to dismiss in future. After that come Tory members and activists in the country. Consistently opposed to Chequers in Conservative Home surveys, the latest of which shows a mere 10 per cent believing May should stick with Chequers, they have also been proved correct. And this matters, because with a majority of Tory MPs being overt or closet Remainers, it’s grassroots dissatisfaction which provides the best chance of forcing May out. History is replete with apparent defeats that turned out to be the springboard for ultimate victory. For both Brexiteers and Britain, Salzburg could well be another.